The skeletal complications of type 1 diabetes (T1D) include low bone density, poor bone quality and fractures. Greater calcium intake, vitamin D intake, and physical activity are commonly recommended to improve bone health in patients with T1D. 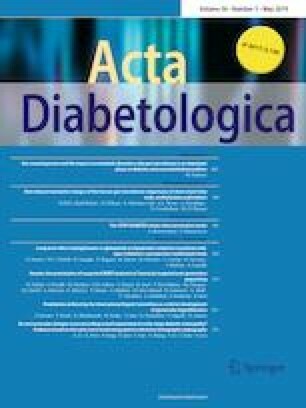 However, it is not clear whether these factors are affected by T1D or improve clinical outcomes. The objective of this study was to systematically review the literature for evidence of associations between calcium intake, vitamin D intake, and physical activity and skeletal outcomes in T1D. In accordance with the Preferred Reporting Items for Systematic Reviews and Meta-Analyses (PRISMA) guidelines, twenty-two studies were included in this review. The prevalence of calcium deficiency was high and encompassed greater than 50% of participants in the majority of studies. Despite this finding, there was no clear association between calcium intake and bone density in any study. Calcitriol use was associated with gains in bone density in one study but was not associated with changes in bone turnover markers in a second report. No studies specifically investigated the impact of vitamin D2 or D3 supplementation on bone health. Two studies reported a beneficial effect of physical activity interventions on bone accrual in children. The findings from observational studies of physical activity were mixed. There are insufficient data to determine if deficient calcium intake, vitamin D intake, or physical activity contributes to the skeletal complications of T1D. Future studies specifically designed to assess the impact of these interventions on the skeleton in T1D participants are needed. The online version of this article ( https://doi.org/10.1007/s00592-019-01334-5) contains supplementary material, which is available to authorized users. DRW was supported by K23 DK114477 from the National Institutes of Health.